Imagine this scenario: you and your minimal crew of two or three people meet up at 9am on a Saturday for a guerrilla shoot at a slightly out-of-the-way distinct location… a ravine with a great vista, a creepy old barn, a horse stable, a honky tonk diner on top of an erupting volcano, whatever. 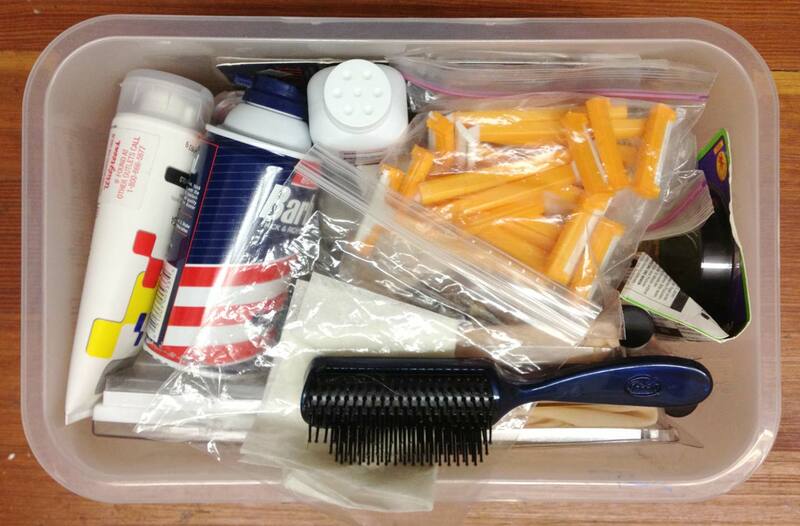 You have coffee & food for your people, and all the gear you need, so you’re good to go. Then an actor shows up with beard stubble, even though in the scene before and after this one (that you shot last weekend) he’s clean shaven. And you’re a fifteen minute drive from his house. Which means at least forty minutes to send him back to shave. Not to mention that he’ll hate doing it, because he probably already hates being there at 9am on a Saturday. And he’ll probably mutter some comment about not having enough gas to get to work after the shoot. Basically what I’m trying to say is that your actor hates you 14% more now. This will happen to you. I’m not putting a voodoo curse on you. Because I don’t need to. Because it naturally will just happen to you. Maybe you’re thinking “my actor is awesome and would never show up unshaven!” Well, what about your friend Jason who has a small part making snarky remarks while helping him carry a dead body to the car before being melted by alien lasers? Jason is usually hungover before 1pm and hence totally like forgot to shave this morning. So, be readyz for dat. 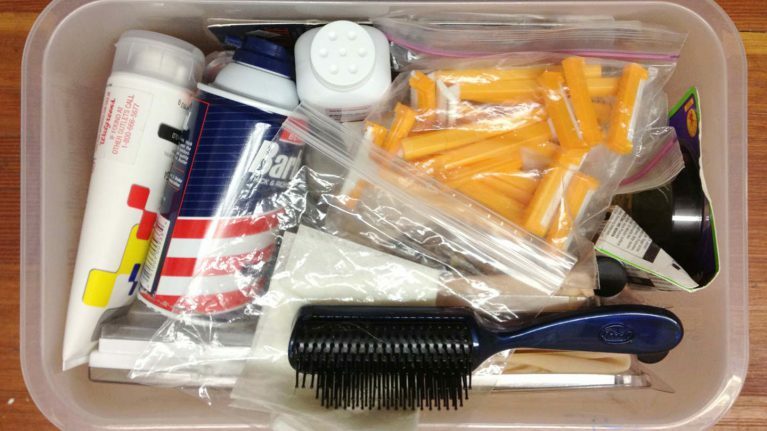 Go to Walgreens or whatever and grab a few things for a simple, minimal hair/makeup kit. I figured this out so early on that I had completely forgotten about it… I just happen to come across mine as I was cleaning my workshop. And now this little blog post is born… ah, the miracle of life. 1. 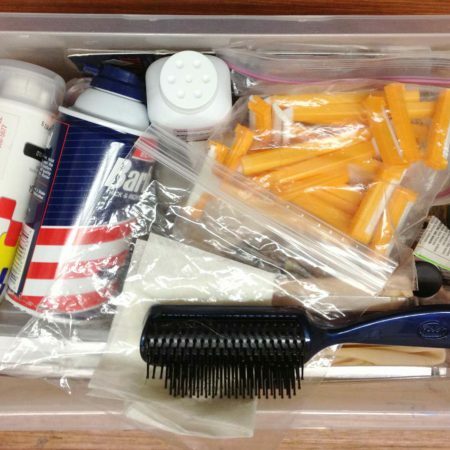 A bag of cheap disposable razors. 4. The strongest hair gel they gots. Satan loves being a stubborn rear cowlick incarnate. Because ruining your film is a top priority for him, duh. 5. Good quality, name-brand absorbant paper towels. When wetted with bottled water + a bone-dry oil-sucking soap like Neutrogena = remote location wash sink. This is pretty obvious… I feel dumb for even typing it out. 6. A few dryer sheets in a ziplock bag. This can help if a piece of costume or wardrobe smells unpleasant and bothers an actor. If actor A had a scene with a chain smoking character a few days ago and now their jacket wreaks of Joe Camel, you can rub a dryer sheet all over it (not joking) after first shaking it out. Dryer sheets are also helpful if you have stale-smelling, “dry clean only” thrift store wardrobe that you can’t afford to dry clean. 7 a. Baby powder. If an actor gets hecka shiny, you can put a little on a paper towel and dab away (if the paper towel alone doesn’t do the trick). It’s not exactly the best way to handle this, but for no-budgeters, it gets the job done. There’s probably better powder options at Walgreens in the makeup section, but I have no idea what they are. But worst case scenario, if you’re shooting in the middle of nowhere and your only nearby shopping option is a gas station, baby powder can work. 7 b. Kryolan Colorless Anti-Shine Powder. This is a more effective and more professional alternative to baby powder. If you’re gonna be shooting a lot in hot, humid environments, or for long hours under hot lights, I’d recommend you buy some. 8. Powder puffs. These work better than a paper towel for powder. If you know you’re gonna need to powder actors, get some, they’re cheap. How did this article end up being like twenty paragraphs, when it should’ve been like three sentences? Anyways, I hope that somehow helps someone. Listen up, I feel like this is kinda a big deal. So you’re dirt poor. Or a student. Or a dirt poor student. Or a dirt student (agriculture major). And you wanna put an earnest effort into seeing if you can cut it as a filmmaker. So you buy a mirrorless camera that shoots video, and you go the ultra-frugal route and get only the body without kit lens. So here’s what ya do about lenses: get on the ol’ eBayz and search for “nikon ix”. These lil’ dudes are dead lenses. We’re talkin’ in a sealed coffin dressed in their mom’s favorite outfits. They deaddddd. They were made for Nikon’s Pronea cameras, which were part of APS (Advanced Photo System), a failed consumer photo film format thingee from the 90s. 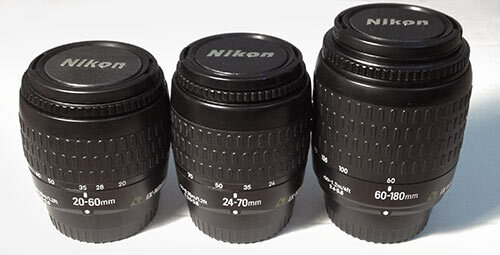 Made for a now-extinct film format, these lenses can’t work on present Nikon or Canon DSLRs because they have rear protrusions that would hit the reflex mirrors. Well now we gunn git our George Romero on, bcuz these now be ZOMBIE lenses. Their putrifying little lens hands are reachin’ up out of the dirt in front of their little tombstones. Except instead of wanting to eat our brains, they wanna help you get yr filmmakin’ on, deep discount style — because they can work great on Micro Four Thirds, NEX, Sony E-mount, NX, and whatever else mirrorless cameras with a lens mount. Once you apply all my advicey thangs listed later in this article, you’ll find yourself with some nice video-friendly lenses that are lightweight with good optics, with a useable focus throw, hard stop focus ring, and a clickless aperture… at an incredibly affordable price. You can have two filmmaking-ready zoom lenses that span from 20mm to 180mm for as little as $60. This is the first lens you wanna grab, since short focal length lenses are generally more sought after. Made in Japan, weighs just six ounces, close focus of 1.1 feet, 52mm filter thread, and a seven-bladed iris for nice fourteen-point lens flare sunstars– kinda a minor thing but I’m not too into six or eight pointed sunstars (fyi: odd number of blades creates double the number of sunstar points, and even number of blades creates the same number as blades). Actually, all the Nikon IX lenses are seven-bladed, hooray. Originally $380 back in the day, this guy usually goes for $15-40. Mine was brand new dead stock, $15. That’s absurd. Made in Japan, 9.5 ounces, close focus 3.9 feet, 52mm filter thread, seven-bladed iris. It originally went for $245, and can be found for $15-60. Made in Thailand, six ounces, close focus 1.1 feet, 52mm filter thread, seven-bladed iris. Original price $160. They show up on eBay for about $15-50… mine was new dead stock. And here are the later white models… note that their eBay prices are generally the same as the black models, though specs-wise the black models seem to be a better choice. The differences are in italics. Same specs as the black model, except this one’s made in Thailand instead of Japan.  Alright, this one is considerably different than the better black model. Made in Thailand, 9.5 ounces, close focus 3.9 feet, 46mm filter thread, seven-bladed iris, and it has ten elements in seven groups while the black version is eleven/eight. It originally went for $100-150, which was a lot cheaper than the black model. Note that the minimum f-stop is 2/3rds a stop slower as well. Made in Thailand, weighs a ridiculous 3.4 ounces, close focus of 1.1 feet, 46mm filter thread, seven-bladed iris. I don’t really see a point in getting this one if you can get a 20-60mm instead… other than its insane light weight. Unless if you need to tie your camera to a helium balloon, I dunno. 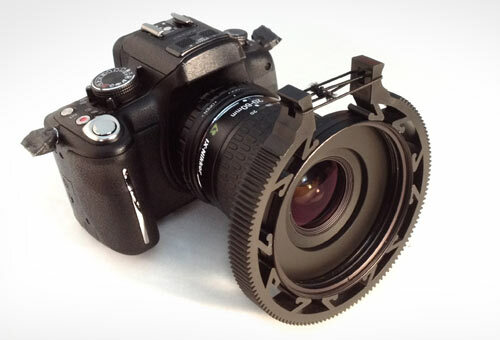 So with the G-Type adapter, there’s a little ring that allows you to have stepless aperture control. Booya. To me this is a huge deal– to be able to have minute control over how your highlights look is important to me, as well as being able to do simple iris pulls during a shot (like when you follow an actor through a tunnel or exiting a building into the sun). Kinda a big deal to have this feature using a $20 lens. One downside is that you’ll have no f-stop indicator to let you know what stop you’re shooting at, though this isn’t really a big deal with digital cinematography and its WYSIWYG LCD screens… and this is coming from a snobby, fluent practitioner of the Zone System. Here are a couple low-priced adapter options for MFT cameras… I’ve used them both and they do the job. 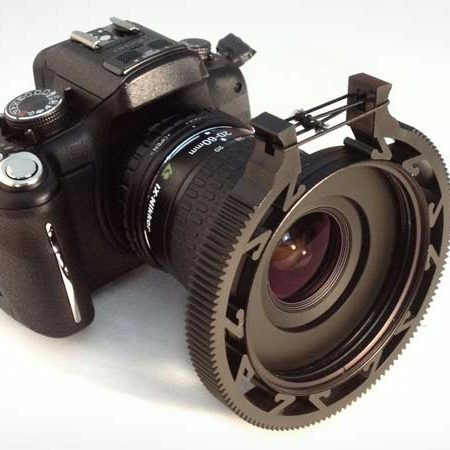 But the Fotodiox’s aperture control ring is way, way better than the Fotga. The Fotga’s ring isn’t dampened at all and it has annoying click-stops at wide open and a little past closed. The Fotodiox will travel the entire iris range without engaging an annoying click at fully open or closed, and the ring is somewhat smooth and dampened… well worth the price difference. Alright, let’s say for some reason you have to go with the Fotga adapter. Remember when I mentioned iris pulls a minute ago? Well trying to do that with the Fotga out of the box is a headache. That’s because of those annoying aforementioned clicks on the aperture ring. When you have your iris open all the way and you try to smoothly close down a little, there’ll be a clumsy pop as you disengage from the click. Even if you never do an in-shot iris pull, it’s still annoying. But luckily the aperture control mechanism is pretty simple. It’s just a little bolt jutting into the inner barrel of the adapter that pushes the lens’s aperture actuator lever (the same thing that the camera engages to control the iris). So if you carefully study the actuator lever’s behavior and how it corresponds to the adapter’s bolt, then you can grab some needle-nosed pliers and bend the end of the bolt a little so that it pushes the lever more towards the open iris direction. By doing this, you’ll reach fully open iris before the adapter’s ring is able to rotate to the “open” click. If you do it right, it’ll still completely close the iris before the ring rotates to the “lock” click… which means you’ll now have full adjustable range of the iris without engaging the annoying click when wide open. If it takes a little adjusting to get it right, no biggee, it’s a metal bolt and can withstand a little bending. Plus, it only cost like $10. Just make sure you thoroughly clean out the adapter of any metal flakes from using the pliers on the bolt… you don’t want that stuff getting on your sensor or rear lens element. Whether you’re using a modified Fotga or a Fotodiox, the rotation throw is really short, so doing a smooth in-shot iris pull might be challenging. If you think you’ll need it, I’d recommend this Varavon Sling thingee… it’s a little awkward looking (and I feel like it should have a little fist at the end of it), but it’ll increase the rotation radius to help make up for the adapter’s ring. I have one and it works well for iris pulls. See the tiny little sliver of a ribbed ring at the very end of the lens barrel? Well that’s the focus ring. It’s way too small to put a geared ring on it for use with a follow focus, and the focus throw is tiny. All the IX lenses are like that. But here’s how to fix that. First, get a 52mm-82mm step up ring for each of your IX lenses. You can get them for about $2 each on eBay, but with a long ship time from China. Then get two 82mm UV filters per lens from eBay or wherevs. They should be about $3-4 each. Just get the cheapest you can find. The quality of the threading & metal are irrelevant– you’re not going to be screwing & unscrewing them over and over, which is when that would matter. Once you get them, just carefully break out the glass… like maybe put them in a paper bag and just pop ’em with a hammer. Then carefully clean them out of any tiny glass pieces. Next, take all the shards of glass out of the bag and rub them all over your face. Just kidding, don’t do that. Because of that joke, I’ll probably have to get a lawyer now. Now just stack all them doodads onto the front of the lens… step up ring + empty 82mm ring + empty 82mm ring. Now there’s a little more travel distance for focusing by hand, but more importantly you now have plenty of room to add a geared lens ring or whatever else. Because the focus throw was so short to begin with, I’d recommend getting a bigger geared ring to help increase it. I’d suggest this one (these are what I use)… it should be about $17. Btw, I’d recommend you change out those screw clamps for my DIY elastic version so you can easily move it from lens to lens. You can read about it in my article about no-budget options for geared rings. The focus throw is still far from ideal, but it’s now at least useable. And also, like all Nikkor lenses, the focus ring rotation is reversed compared to other lenses, but this is a pretty minor issue. If you prefer a semi-permanent and more svelte-looking geared ring, you can use Half Inch Rails’ Zip Tie Lens Gears, though the smaller overall circumference will give you less of a focus throw than the other geared ring above. But whatever you’re comfortable with. Alright, something’s gotta give. Nikkor optics, stepless aperture, feather light, follow focus compatible with hard stops, and at the price of like four McDonald’s extra value meals? We live in a cruel, cruel world that loves to dangle such sweet globs of nectar in front of you, only to replace it with something grody like a stale McNugget with a hair stuck to it just as your hungry lips are within striking distance. Yeah so, here’s the issue: if you don’t find one with the rear end cap included, then you’ve got a little problem. That’s because the end cap model (Nikon LF-3) is no longer made. How weird & retardo is that? A piece of plastic whose compatriots cost ninety-five cents can mess this all up. Cool, whatevs, you’ll deal. I happened to already have an old Tamrom Adaptall 2 Nikon end cap that works though, so maybe there are some other older third party Nikon end caps that just happen to be long enough, I dunno. Maybe try going to a used camera shop and asking. They’ll often have a box full of random old end caps that you can sift through. The Nikon LF-3 and aforementioned Tamron one are both about 20mm or 7/8″ long if that helps as a guide. That’s the 20mm long Tamrom end cap that works, and the Nikon LF-3 end cap will have that cute little Illuminati planetary alignment APS logo on it. I probably shouldn’t joke about that, I hope Jay-Z and Kanye don’t come after me. 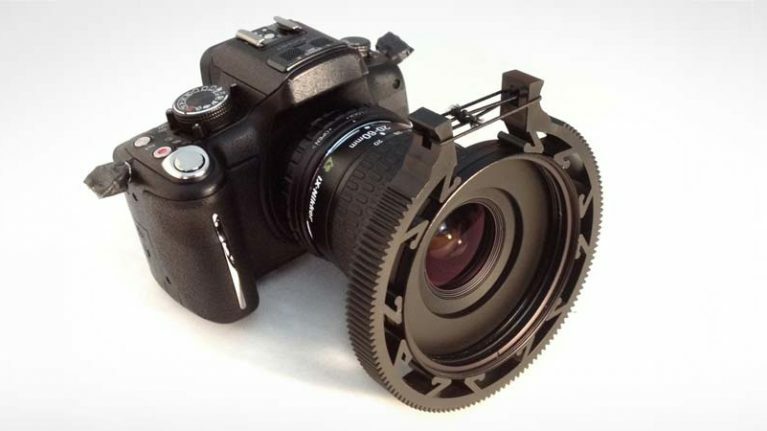 But really, worst case scenario is that you just permanently keep one of those lens adapters on each lens and get MFT end caps, it’s not the end of the world. Just the world continuing with a little less money in your pocket. The biggest catch is that it’s likely just a matter of time before other people figure all this stuff out and the IXs’ prices increase. They should totally work with up to APS-C sized sensors. The APS film negative was 30.2 × 16.7mm, so any sensor that’s APS-C or smaller should be fine. As far as sensors bigger than APS-C, I dunno, I haven’t tried. One thing to look out for is that these lenses protrude from the rear mount, about 17mm. So that means they’ll only work with cameras that are using a long enough lens adapter that the rear protrusion won’t hit the camera’s sensor… ie. is the Nikon 46.5mm flange focal distance more than 17mm longer than your camera’s? Though this is in theory, and I haven’t tried them on anything but a GH2. Canon EF/EOS: No. There’s only a 2.5mm flange distance difference, so the rear protrusion will smoosh all up against your Canon’s guts an’ stuff. Nikon DX & FX: No. Like with Canon, it’ll hit the mirror. Samsung NX: Yes, in theory… though I haven’t tried it. Sony NEX/E-mount: Yes, in theory… haven’t tried. Note that this is as of July 2012, so in future times that list may become inaccurate. But you’ll be too distracted by flying cars and at-home plastic surgery kits to care. So there ya go. 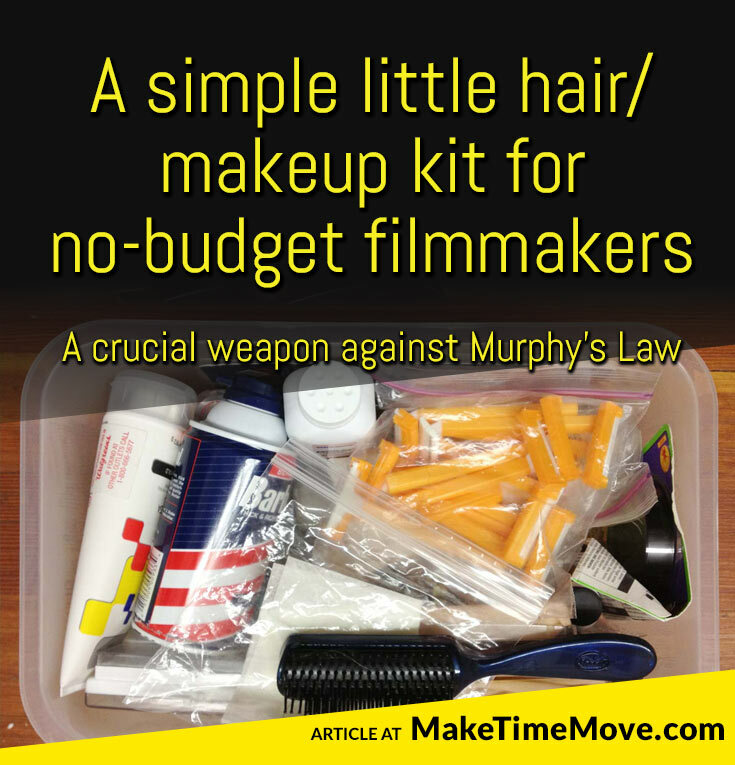 Practice and shoot your own projects with these thrifty amigos, and instead spend your money on lighting & light modifying gear. If you get a sweet client project with a budget, then you just rent pro lenses like Zeiss CP.2s (or even a better camera). Honestly, if you don’t have much money, or are just starting out, this is such a no-brainer to me. There’s definitely other pricier still lenses that are better suited for video out there, but maybe these will help someone get started.